Got a car mount for a friend that badly needed something so he would stop fiddling with his smartphone in the car. This seems to have done the job as now he can see what’s going on without having to grab it. Allowing him to pull over into a safe location and doing what he needs. This little thing is cheap cost wise, but extremely strong. It will hook up to your typical car vent and you can secure it rightly with the attached vice that you can easily screw. In the absence of having a metal body for your device, Veckle provides 2 sizes for the metal plate you can stick to the back of your case or phone. This thing hooks up pretty darn good and even if the suspension is done in your car and you hit these big drops you’ll be perfectly fine, the phone will stay in place. You can’t go wrong for $12.49 CAD on Amazon Canada. 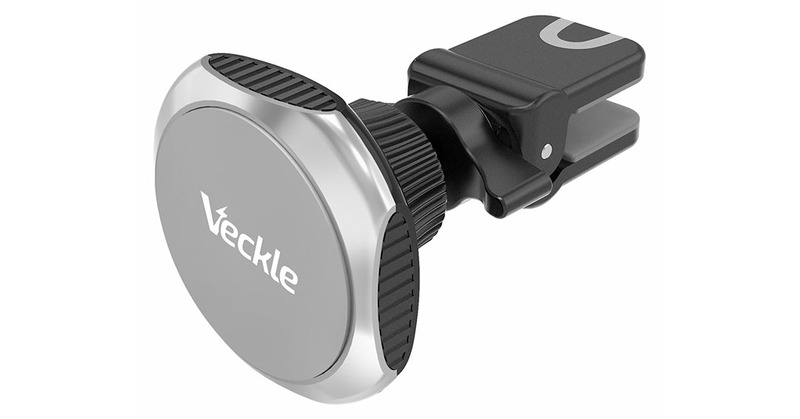 Veckle has been a leader in terms of inexpensive and useful gadgets that simply just work as intended. It will work for most car vents however, they do provide a nice picture of what will not work with this car mount. Need a car mount? Go get this one.